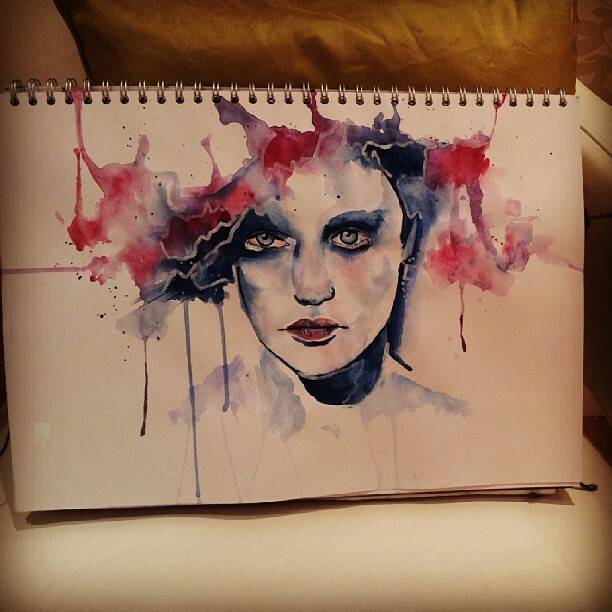 watercolour | Welcome to my blog! Two paintings very different from eachother. One is happy with brightness and vibrancy, the other is more depressing with dark, matt colours. I think each of them tells a story. You can’t actually tell, but it’s the same girl in each of the paintings. Her story is quite interesting if that’s what you’re willing to make it.